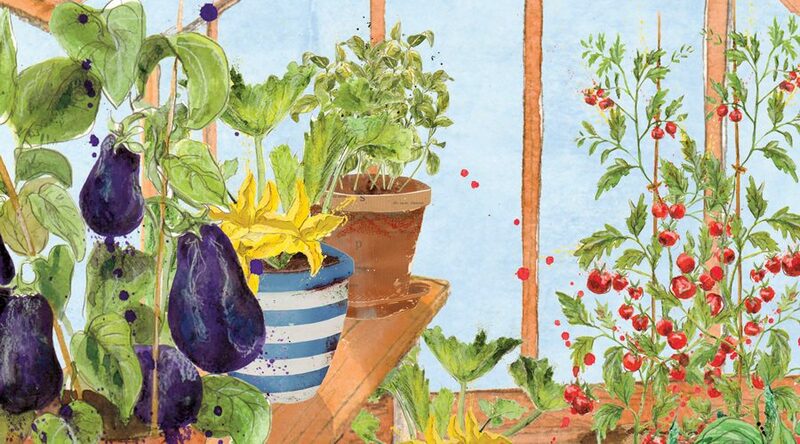 Some veg grow much better in a greenhouse or polytunnel than they do outside. These are the tender veggies like tomatoes, peppers, chillies, aubergines and okra. Basil grows well in a greenhouse too. There are a few little things you can do to really make the most of your greenhouse and they are well worth doing both to keep pests at bay and improve your crops. Don’t try to cram too much in. It can be tempting to plant more than you have space for when the plants are young, but they need space to grow and thrive, as well as the air circulation to keep pest and disease at bay. Give adequate space for roots. If you are growing in pots and containers, or in grow bags, make sure they are a generous size for the plant to form good root structures. Keep on top of watering. This might sound obvious, but even one day of being too dry can affect your tomato crop, and it’s very easy for soil in the greenhouse to dry out on a warm day. You should aim to keep the soil consistently moist for the best results. Ventilate your greenhouse. On warmer days you’ll need to open a window or two, or even the door to let the cooler air circulate and prevent plants from wilting. Damp down in the mornings. Depending on what you are growing, damping down your greenhouse can help increase the humidity levels. This works wonders for plants like cucumbers. Splash water onto the floor (the walkway as opposed to the soil) and this will create a bit of humidity as the temperature increases. Plant marigolds in amongst your veg. They will help to attract ladybirds which in turn will keep problematic pests, like aphids, down. Hang sticky yellow fly traps. Aphids will land on them and alert you nice and early to their presence so that you can do something about them before they colonise your crops. You can cover anything yellow, e.g. a bucket, with vaseline and it’ll do the same job.